Ashton Turner’s team was the table toppers in the last season of the league but after two games they have played anything but that. 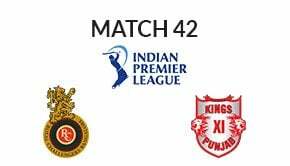 They started with a loss against the Melbourne Renegades in the first game where they were let down by their batting while in the next game against Sydney Sixers the bowlers let them down. Marsh would know that the going would get exceedingly tough for the side if they fail to win the upcoming game. The pressure has started early for the side and they have to deliver the goods in front of their home crowd. Sam Whiteman has failed in both the games so far and would need to make a quick comeback while Michael Klinger played well in the first game. David Willey too isn’t looking in the best of form while the team would feel happy about the batting performance of Asthon Turner and Hilton Cartwright with the latter having played well in both the games. They would miss the services of Marsh brothers who are on national duty. As far as the bowling is concerned they had a good and bad day in two games so far. Jason Behrendorff has been the pick of the bowlers and he would look for good support from Nathan Coulter-Nile and Ashton Agar. Andrew Tye who was expected to be their best bowler has failed in both games so far and is putting pressure on others. Colin Ingram’s team lost out against the Melbourne Renegades in a close fought game. This would have hurt the side as they were in control over the game for most parts of it and just let it go in the end. The team has begun the season well with a win over Brisbane Heat and as now they take on Perth Scorchers against whom the side doesn’t have the best of records. With a strong unit at his disposal Ingram would like to go into this game confidently and not make the mistakes the side did in the last game. The bowlers have to be on the mark for the side to win. Alex Carey and Jake Weatherald have played good knocks once each in the two games the side has played so far and would be looking forward to a good start in the next game. Colin Ingram has also looked good while Mathew Short and Jonathon Wells played exceedingly well in the last game. With Michael Neser and Jake Lehmann the side bats deep. Bowlers apart from Rashid Khan had a bad day in the last game and Billy Stanlake, Peter Siddle and Michael Neser would be looking forward to a better show in the upcoming game. The competition in Big Bash 2018-19 has started heating up with all the teams having played their opening games. Perth Scorchers who have lost both their games so far will play the Adelaide Strikers at their home ground Perth Stadium. Strikers come into this game with a win and a loss so far and would be looking to put themselves up on the points table with a win. Perth Scorchers on the other hand can afford a third straight loss and would look forward to their first win of the season. All these make it the perfect recipe for a closely fought game of T20 cricket. 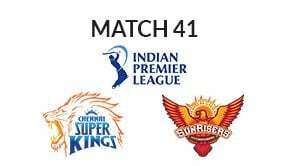 Adelaide Strikers have looked the better side of the two so far and hence they would start ahead of the Perth Scorchers in the next game.